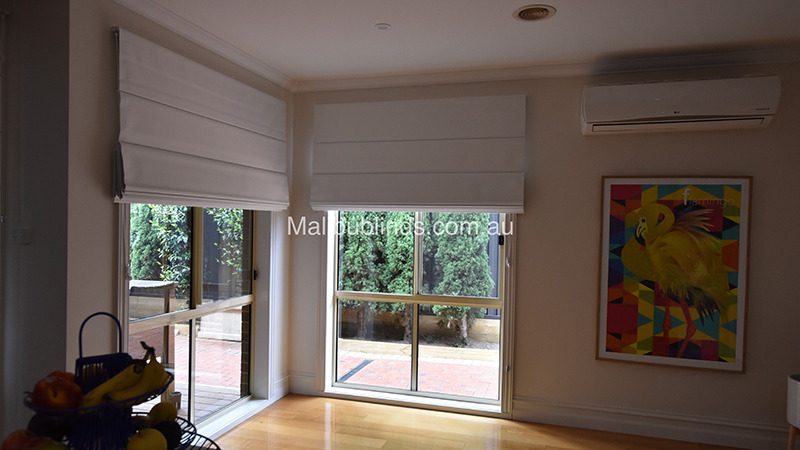 Roman blinds are the quintessential low profile window treatment. 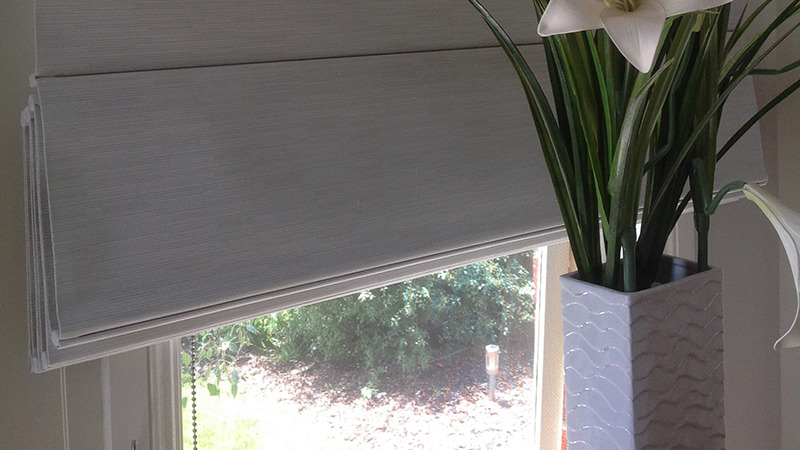 These impressive and decorative blinds offer essential privacy and protection. Pure sophistication, as only Melbourne knows how. 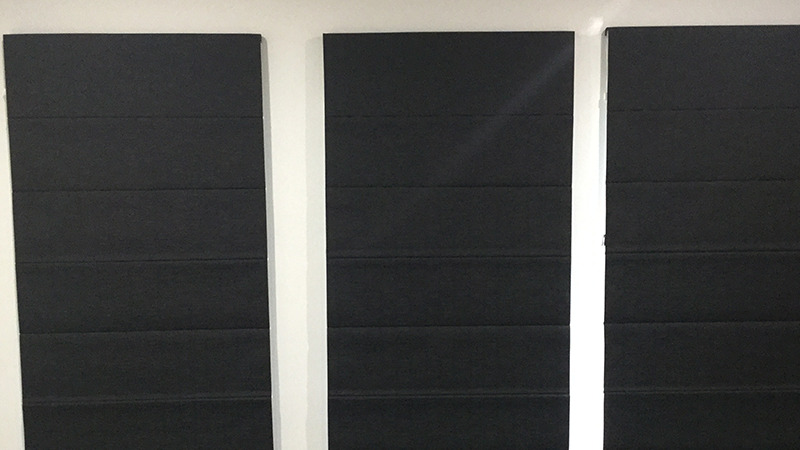 Combining many years of window covering tradition with contemporary benefits the Roman Blind is an essential for both light and privacy. 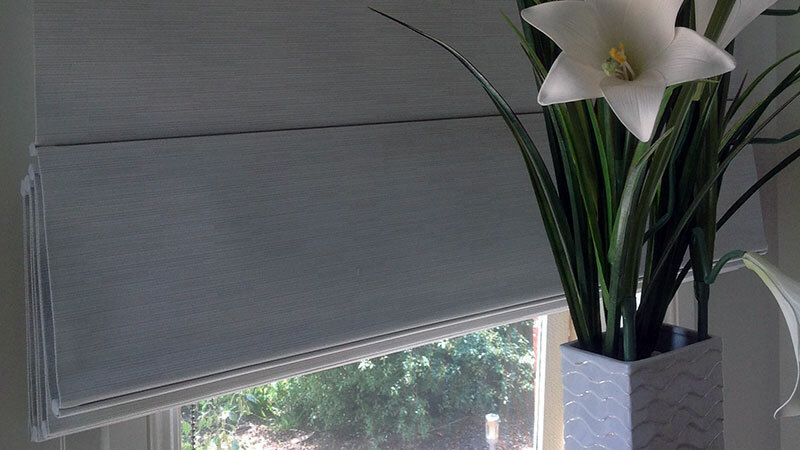 With their timeless Mediterranean looks, Roman blinds add a simple elegance to any room. The lineal styling and soft pleats of these decorative blinds bring essential richness, that's not always achievable with other window treatment options. The operation of Roman blinds is essentially by pleating. As you raise the blind, loops of fabric gather horizontally across. When fully open, the gathered loops are held together at the top. 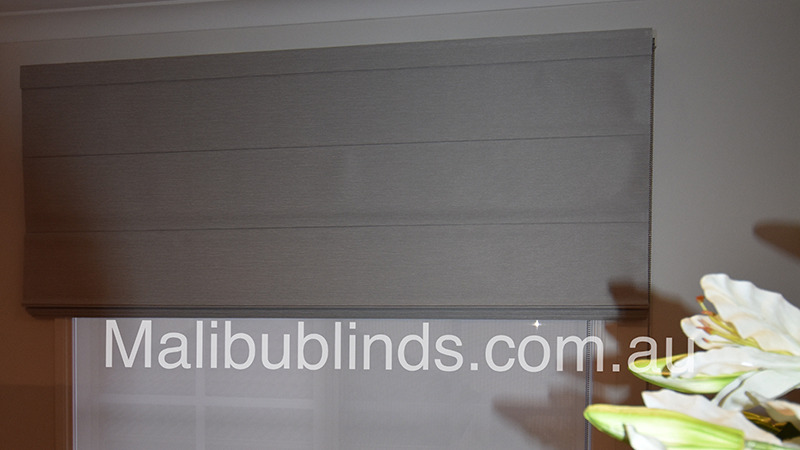 This gives your Roman blind its flat, decorative appearance. A seamless look for contemporary Melbourne homes. Select from soft pleated folds to more deluxe decorative fabrics. From soft, lustrous plains or prints to luxurious textures and block-out essential, blind textiles are Australian crafted with care and attention. Our fabrics provide exceptional insulation as well as giving you great flexibility for decorating. 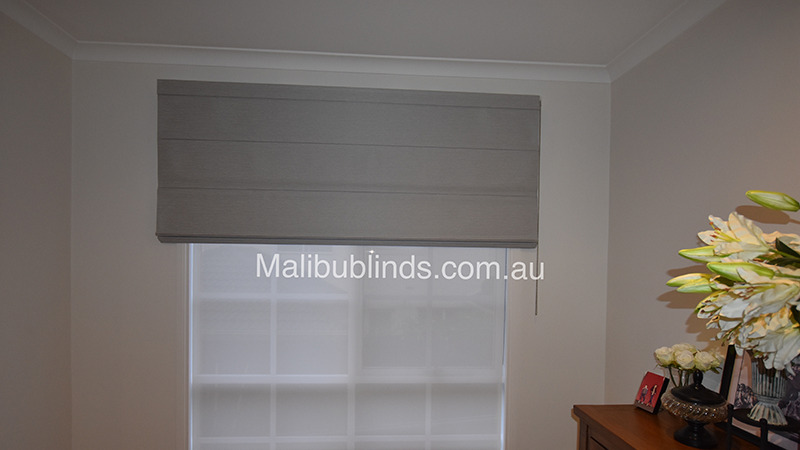 Malibu Roman Blinds will give your home a great contemporary feel and come with remote control option. 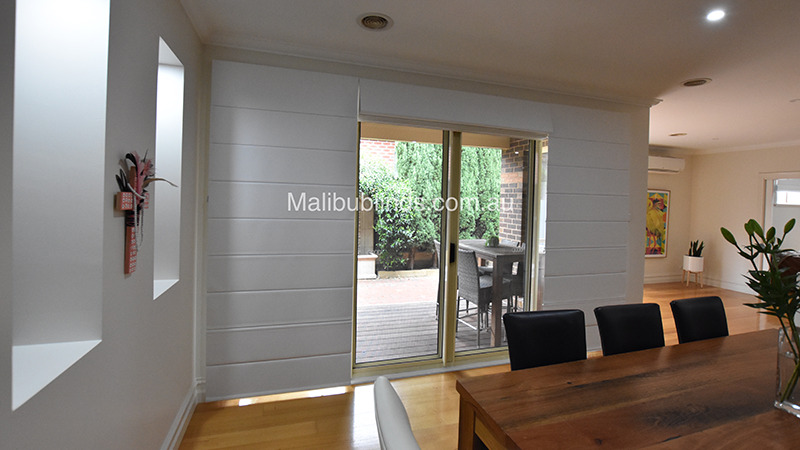 Timber OR Aluminium headrail Timber Headrail is covered with same fabric front and side and can cover up to 3 metres wide as one blind. The Aluminium Headrail is slimline with a low-profile valance at the top end of the Headrail. No Visible Joins Made with invisible joins located in the battens, therefore making it impossible for any form of light to come through the fabric. Bonded Side Hems High-tech bonding process for the ultimate crisp side hem. Extruded Rear Aluminium Spacing Rails Powder coated aluminium battens on rear of the blind for total stability and no puckering. UV & Mould resistant Coated Fabric Made to the Australia UV conditions to resist fading and allows for easy cleaning. 5 year Warranty Australia made and manufactured, we've got you covered!